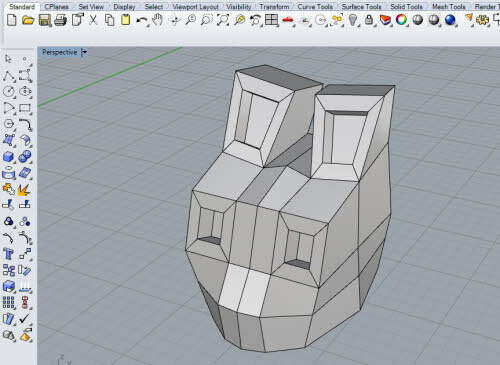 This tutorial pertains to Rhino 6 WIP version. What is exciting about future versions of Rhinoceros 3D is that it will have its own Subdivision modelling capabilities. What is Subdivision modelling or SubD in short? It is a method of creating smooth models using a cruder polygonal or mesh model. This method is popular with non-CAD 3D modelling programs such as 3DSMax, Lightwave and Blender. 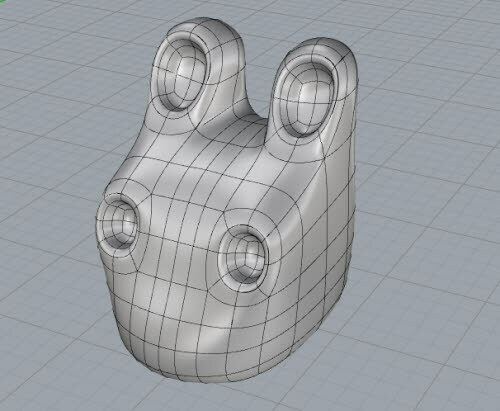 The advantage of Rhino’s Subdivision modelling technology is that, unlike non-CAD 3D programs, Rhino-based Subdivision models can be converted to NURBS (Non-uniform rational B spline). This capability is extremely powerful as it allows for the creation of models that can be down-streamed to engineering programs such as Solidworks, Solid Edge, Creo and other applications that take NURBS-based data such as STEP and IGES. Traditionally, mesh-based models do not have the required accuracy for mass-manufacturing. The following steps describe a generic process of converting a mesh model to Sub-division format, followed by conversion to NURBS. 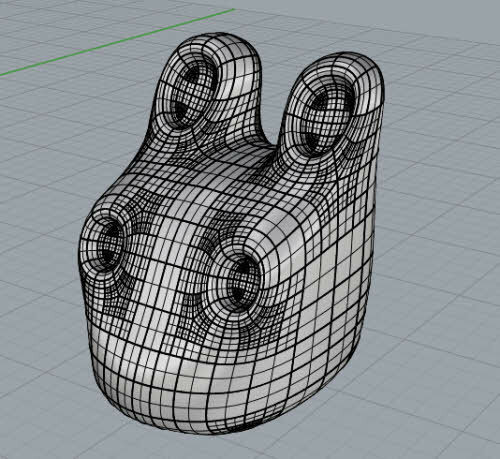 Below screenshot shows a mesh model in Rhino. For this tutorial, the mesh model was created in Blender and imported in Rhino as an OBJ object. With the mesh selected, execute the SubDFromMesh Command. For the example shown, Level option is set to 1. The rest of the options were left as defaults. As you can see, a very nice subdivision model was created from the mesh(polygon) object. Next we need to convert the Subdivision model to NURBS surfaces. To do that with the subdivision model selected, run ToNURBS Command. For the example below, the Patchdensity value was set to 2. I don’t know about you. But I am very exciting about current Rhino development in this area. I see huge possibilities and a greatly improved sets of tools for modelling within Rhino itself. The author is a Certified Rhinoceros 3D Trainer and a Member of the Blender 3D Professional Network.